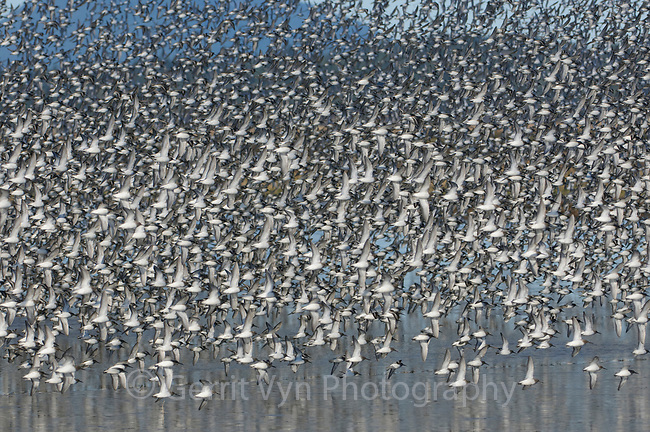 Large flock of Dunlin (Calidris alpina) in winter (basic) plumage in flight over a shallow pond. Skagit County, Washington. December.